Armament Research Services (ARES) provides a range of unique services tailored to video game production. Below are some examples of the specialised consulting that ARES offers. ARES can provide high quality audio recording from an exhaustive range of arms and munitions. 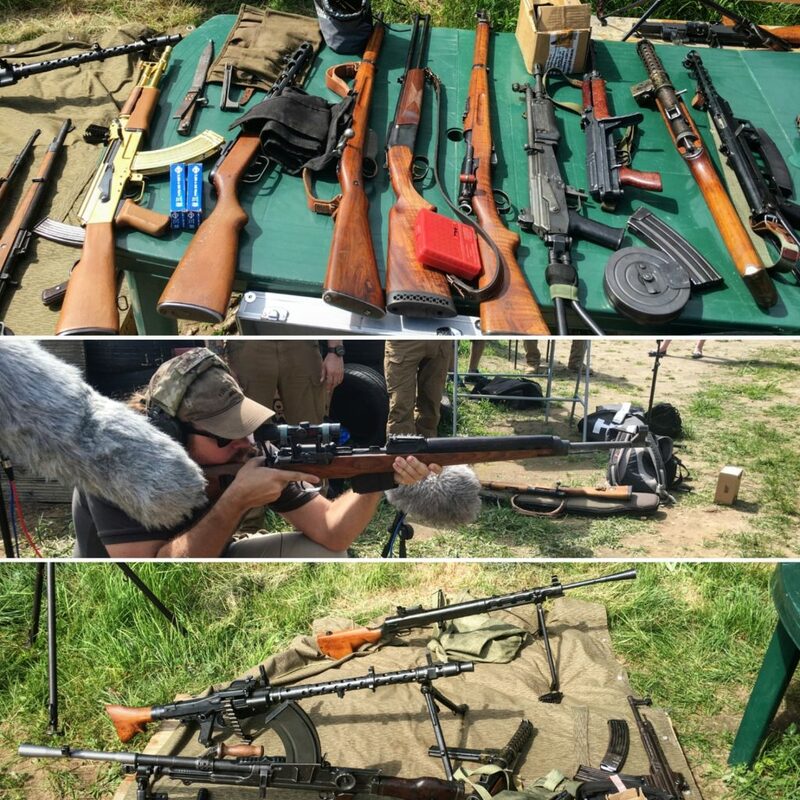 Audio recording is separated into Handling and Manipulation Recording (including reloading, charging, clearing of weapon jams, etc., typically ‘foley’), and Live Fire Recording. ARES can arrange high quality audio through reputable firms, or can facilitate your in-house team. We have access to ranges in Europe, the USA, Africa, and elsewhere. We can arrange for the recording of small arms, light weapons, heavy weapons, armoured vehicles, and even aircraft. From handguns to mortars to tanks, we have the connections and technical understanding you require. Note: Live Fire Recording in non-range environments, and recording for exotic, rare or expensive weapons and ammunition types typically incur extra costs. Please contact ARES for more information regarding your specific audio recording needs. ARES offers detailed and high quality video reference materials of highly trained and experienced personnel manipulating and firing weapons. Material can be tailored to demonstrate a range of standard and exotic handling and firing techniques, or to accurately represent known armed forces’ and combatants’ techniques from around the world. ARES can provide trained professionals to handle, manipulate and simulate firing of a range of weapons for the purpose of motion capture. Handling and firing techniques can be tailored to your specific needs, as above. Highly detailed photographs of weapons, munitions and other military hardware from all angles can be provided, tailored to assist in modelling of the item. This includes Small Arms and Light Weapons (SALW), larger weapons systems, and ordnance. ARES can provide technical expertise to assist in accurate weapons information. This can cover topics including weapon descriptions, technical specification and ballistics data, weapon behaviours and assistance with regard to historical and factual accuracy. Our staff can also assist your development and management teams in negotiating the legal, cultural, and geopolitical issues surrounding the portrayal of arms in video games.